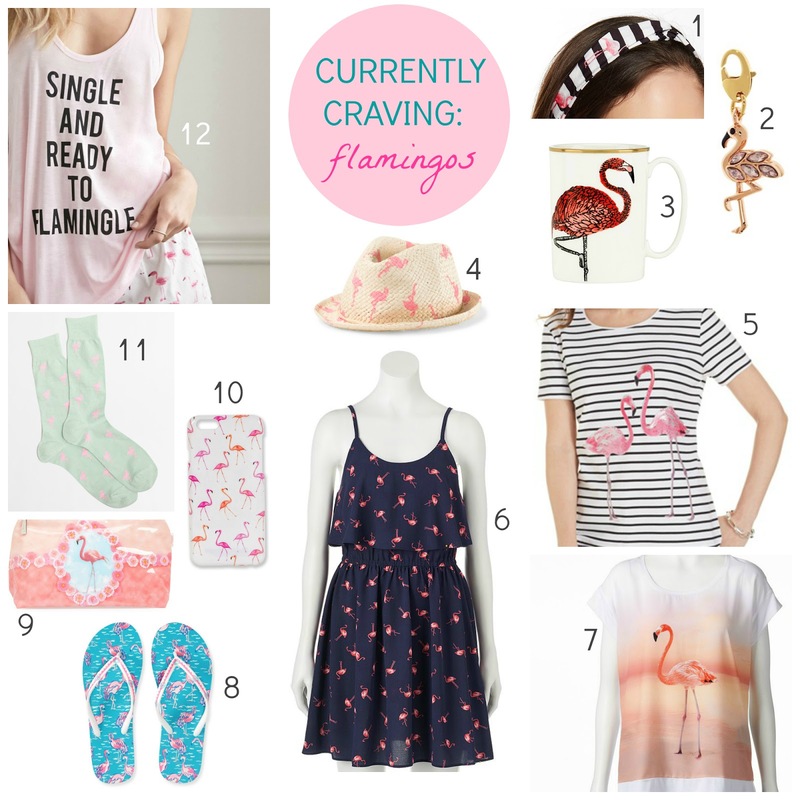 Currently Craving: All Things Flamingo! 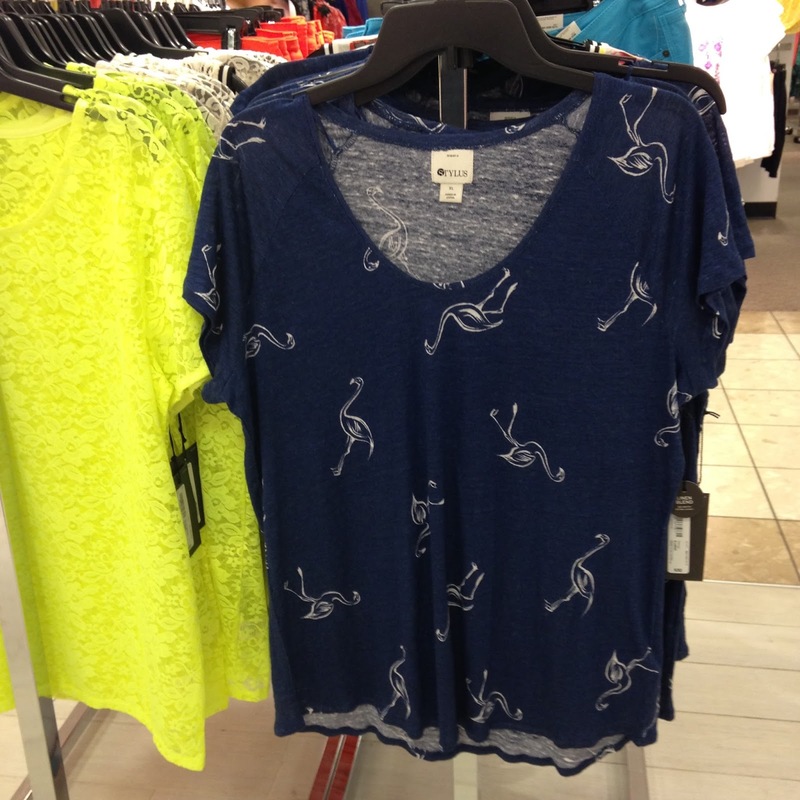 First it was the pineapple craze, followed by lemon prints and now flamingos are literally in every store. 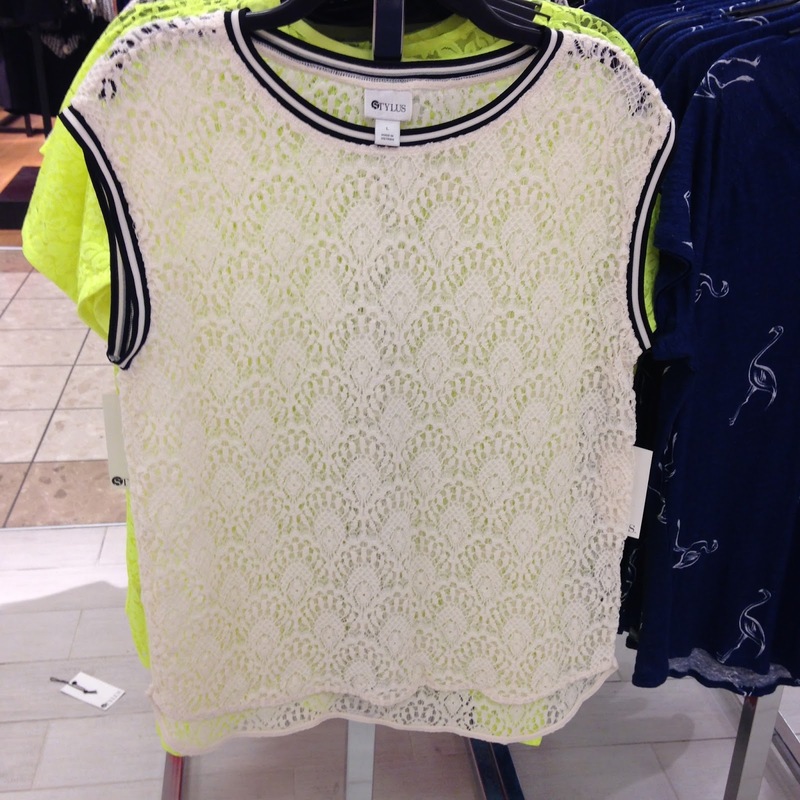 Inspired by Kate Spade's latest collection, we now have affordable pink (and blue) cuteness at all price points. Here are some of my favorites I've seen and remember to keep checking in store for the newest arrivals, especially stores like Nordstrom Rack and TJMaxx for items you can't find online. If there is one store leading the flamingo pack, it's Kohl's, check out everything below! 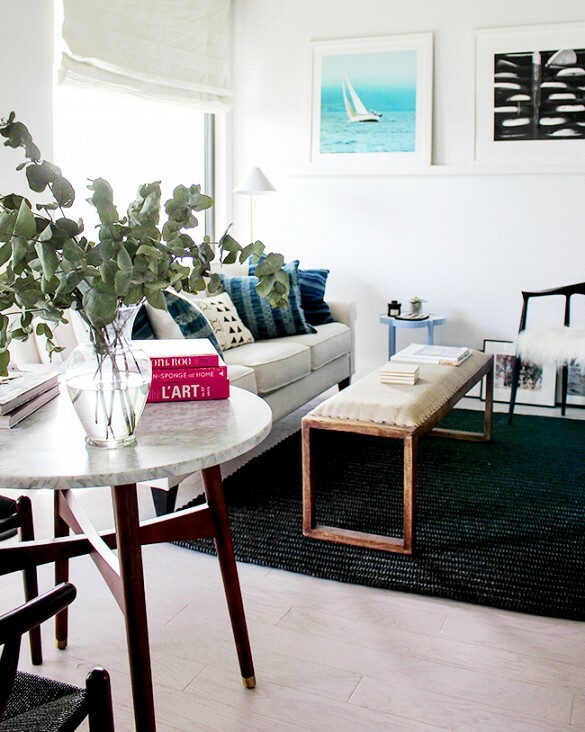 Are you into the flamingo craze? 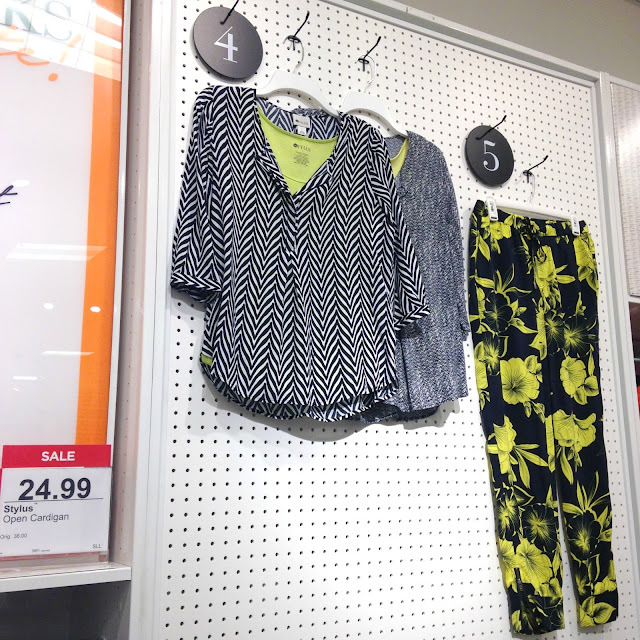 This past weekend I stopped at a few Marshalls locations that aren't my usual shopping stomping grounds and found so many new styles and brands. Of course after spotting the Kate Spade box (you can see why it's a showstopper), I quickly made my way throughout the shoe section to see if I could locate more of the mesmerizing striped boxes. While I did find one more style, it was only a stack of size nine's from top to bottom, fail. The hunt was on after that, but I never did come across the Saturday brand at any other locations. I didn't take that many clothing photos this time simply because it was very crowded and the racks are close together at this location. I took a few quick pictures of the newest items. Hope you enjoy seeing all of the amazing shoes and bags and maybe you can track down a few favorites at your store! What's your favorite new arrival? 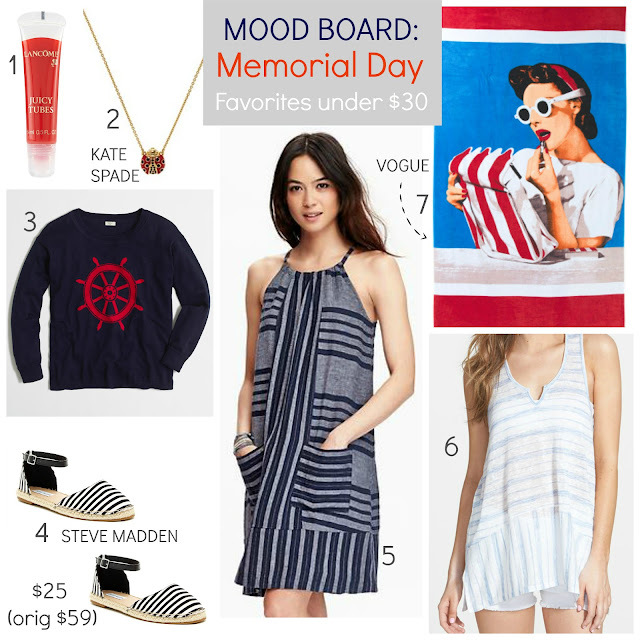 Mood Board: Memorial Day Favorites + FREE Shipping Deals Today! I hope everyone is enjoying their Memorial Day and to sweeten the holiday, some stores are offering free shipping with no minimum (yay!) 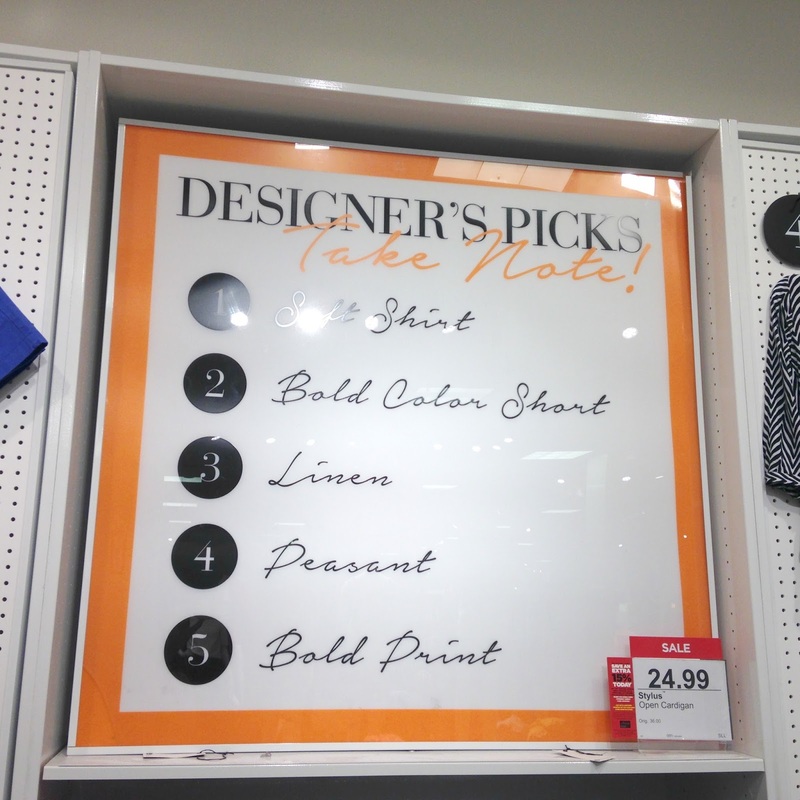 Here are a few favorites I spotted while doing a bit of retail therapy this weekend. Here's to a great rest of the week! 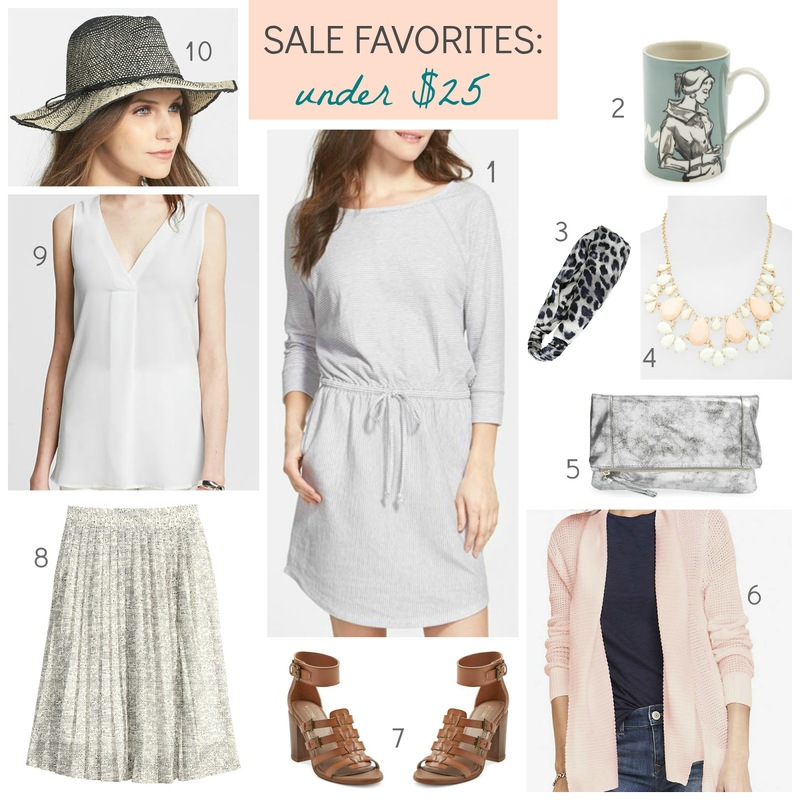 20 HUGE Memorial Day Weekend SALES!! Time to get your weekend shop on with sales, sales... and more sales. Here's a round-up of the stores with the best deals and extra discounts to save you the most money. Have a great holiday weekend fashionistas! 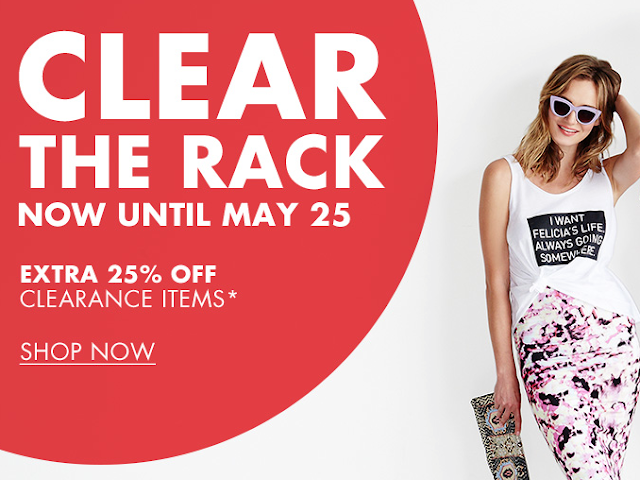 NORDSTROM Half-Yearly Sale + SALES to Shop Now + under $25 picks! Memorial weekend always symbolizes the unofficial start to summer and that also symbolizes shopping all of the amazing sales for many bargain hunters. I apologize in advance for any items that are sold out, it took me longer than usual to create my favorite list with Nordstrom pieces selling out faster than I can type. 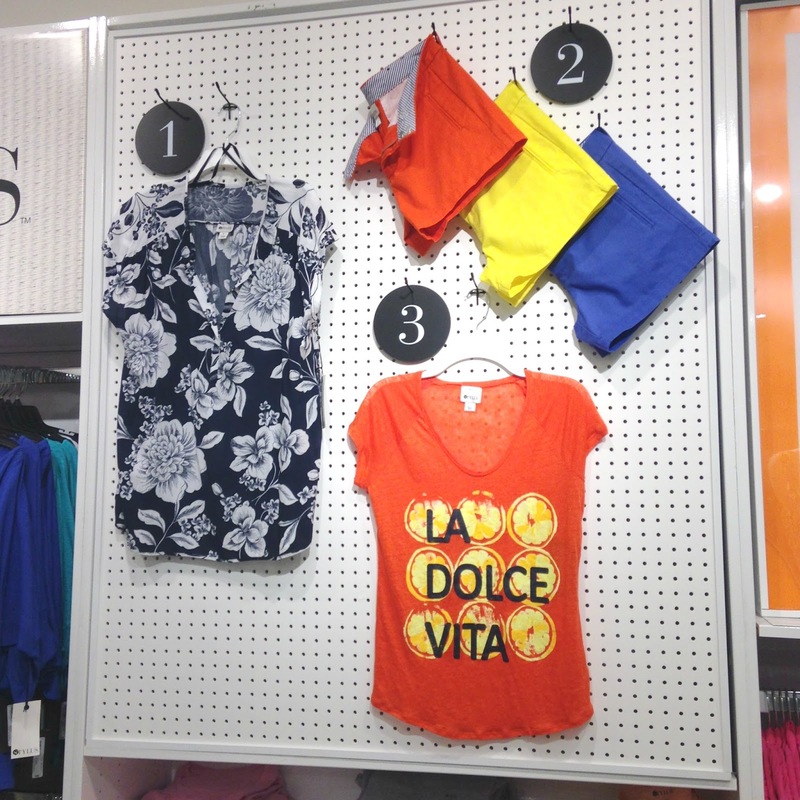 Ready, set, shop! What sales are you hoping to shop this weekend? Kate Spade: up to 75% off Surprise Sale! 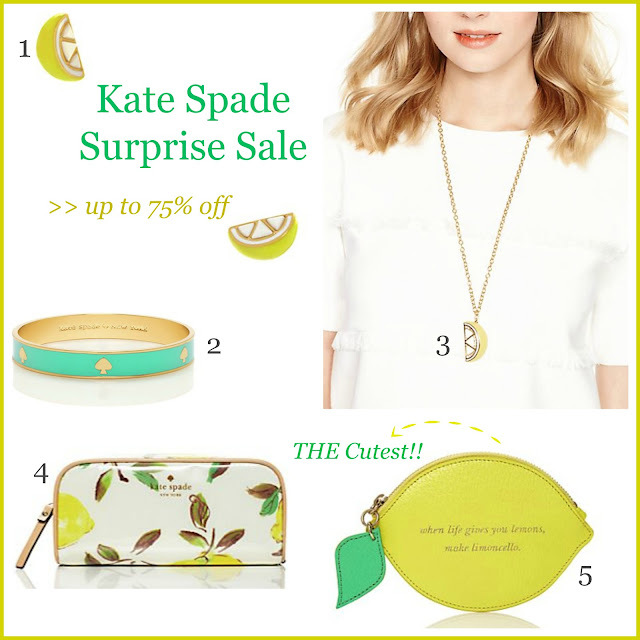 The Kate Spade surprise sale is back and when life gives you lemons...buy all things cute! Remember, sales are final and you get free shipping when you spend $200 or more or $5 flat rate. 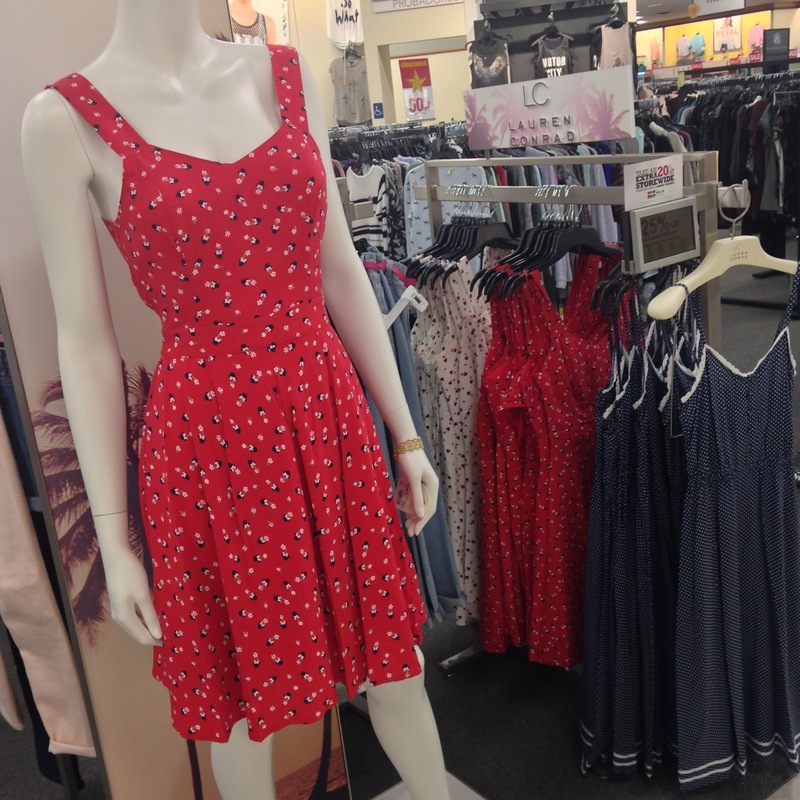 Old Navy 30+ In Store Pics: New Arrivals Flamingos + Palms + $10 Dresses! I confess that I cannot stop shopping at Old Navy and after you see all of the adorable flamingos, palms, and pineapples I dare you to stay away any longer. In addition to the cuteness, there are also many in store deals to find, $10 dresses, $3 tank tops and $14 boyfriend jeans oh my! Cardholders are getting an extra perk this weekend with $1 flip flops, a full month ahead of the June sale. I wanted to share everything with you so you can also pick up a few summer must-haves. Happy Saturday y'all! Okay, I was born and raised in LA, but I couldn't help myself after checking out Reese Witherspoon's new site (you'll see why). I'm sharing a few quick reads + links I checked out this week while drinking my coffee and pinning...I now know why Pinterest is so addictive. Happy Friday! 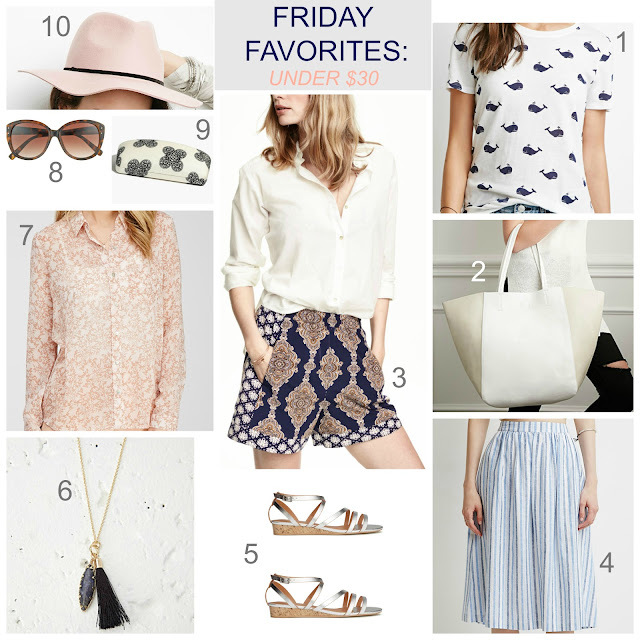 This week seemed to fly by and the three-day Memorial shopping weekend is almost here (yay). Next week will be one of the official starts of summer clearance deals, so if you are a little behind in buying flawy dresses, shorts, tanks or bathing suits, you are luck. Stay tuned for sales galore in the coming days. 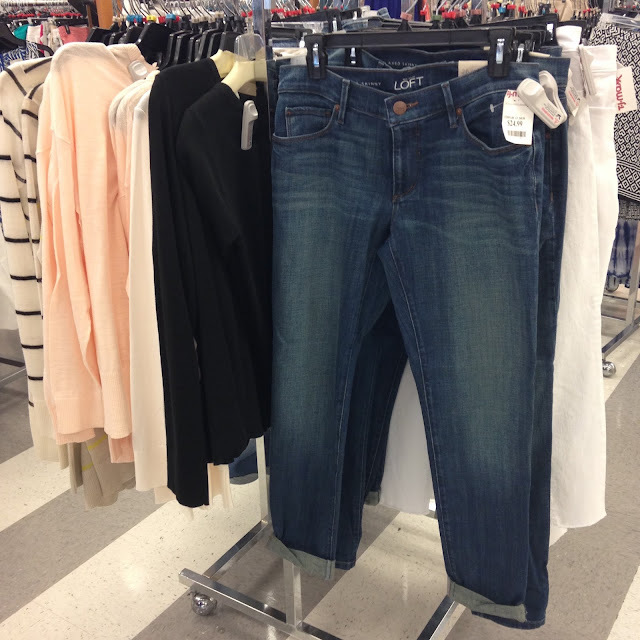 Tj Maxx: In Store Pics featuring Ann Taylor Loft under $25! Recent Purchases + Sales to Shop! While I am a huge shopper, that doesn't mean I purchase every item I share...if only my budget and closet were that big (#someday). I thought I would show you some of the pieces that actually made their way into my tiny abode and a couple of goodies still on their way, come on post office! Since it's a round-up of items, I paid less for many of my finds thanks to all of the sales. 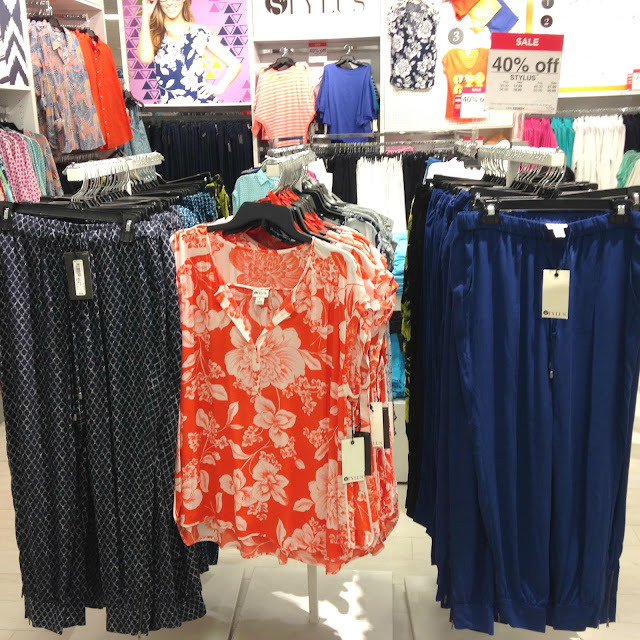 I know for many of you, it's not always easy to get yourself to the mall, but I have found sale prices to be even lower in store, luckily that's not always the case since online shopping is pretty darn convenient. What are some of your recent purchases? Minnie Mouse Collection by LC Lauren Conrad at Kohl's is Here: See the in store pics! 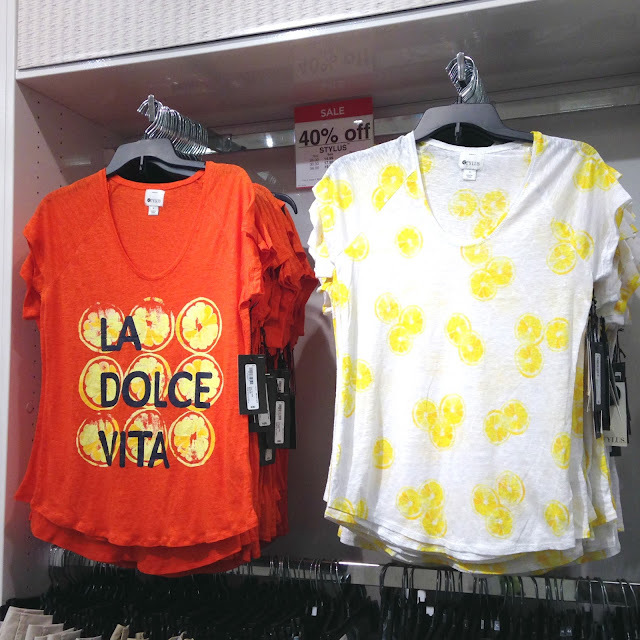 Disney's Minnie Mouse Collection by LC Lauren Conrad at Kohl's (say that 3x fast!) is here! I loved the subtle details on the dresses, if you are fashion Minnie lover, this is the prefect way to show your love for her and not walking around like an obsessed Disney fan...not that there's anything wrong with that! I was a bit disappointed in the dress fabrics, as you can see in some of the close-up pics, the rayon material easily wrinkles, I prefer the poly-cotton blends found on most of LC's other dresses. The t-shirts are also rayon which really surprised me since they looked and felt like cotton, be careful not to shrink those in the dryer and maybe go up a size just in case. Overall, I think it's a super cute collection that I'm sure will satisfy the Disney fans while also catering to Lauren Conrad's fashionistas. What do you think of the Minnie collection - will you be buying anything? 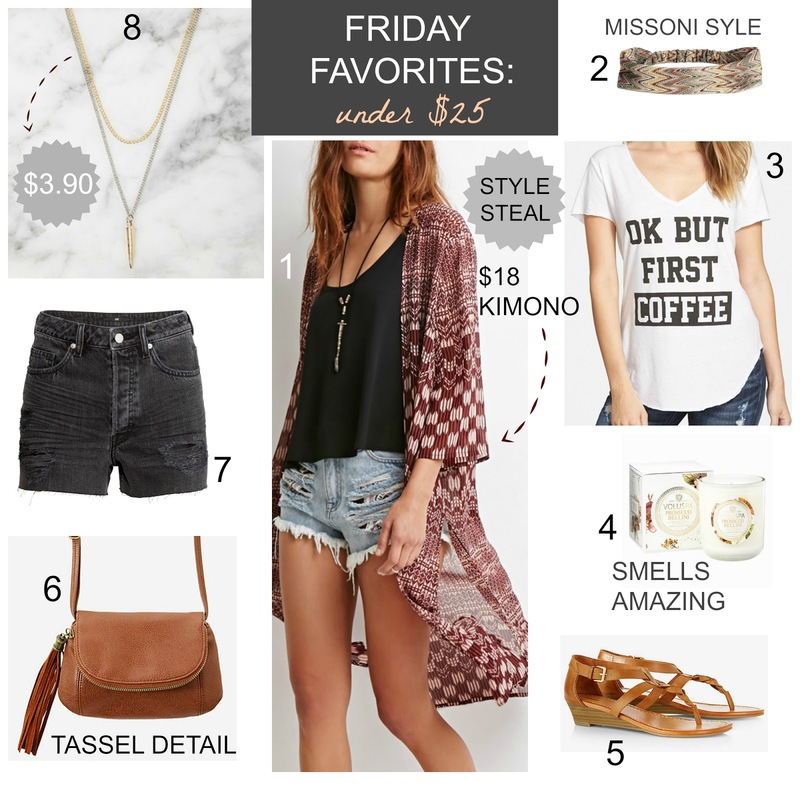 This week's Friday favorites is very bohemian-inspired, a bit of boho chic which isn't my usual style, but I do love a few pieces here and there, just not worn all at once. 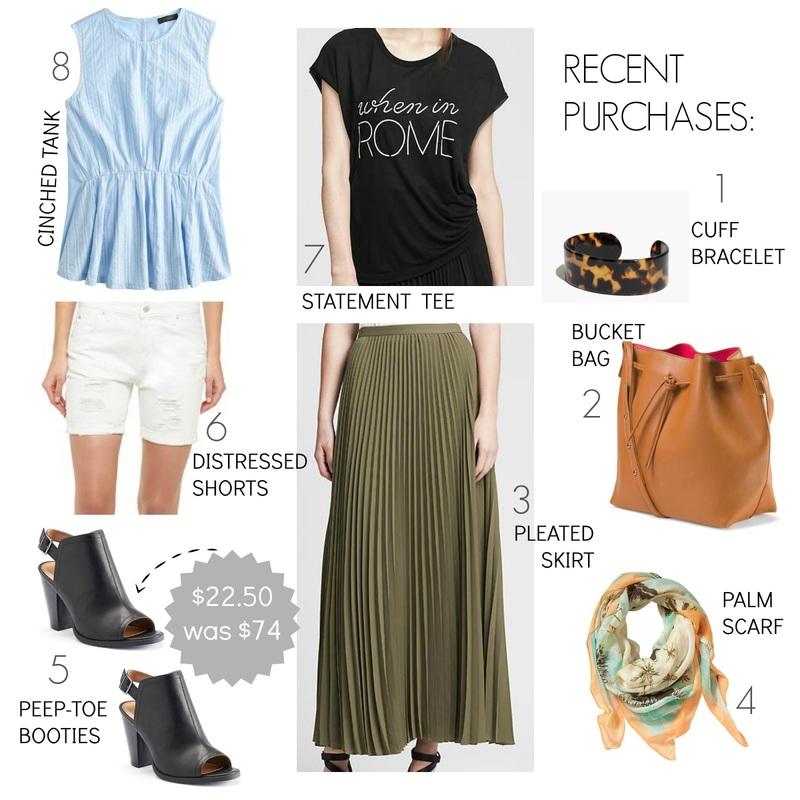 Items that can be easily styled with basics you already own. If you do one thing this weekend, stop at Forever 21 to stock up on necklaces because my store was in the middle of restocking the entire jewelry department and I spotted some amazing (I am not kidding!) necklaces for less than six dollars that look that look like something you would find at Nordstrom. 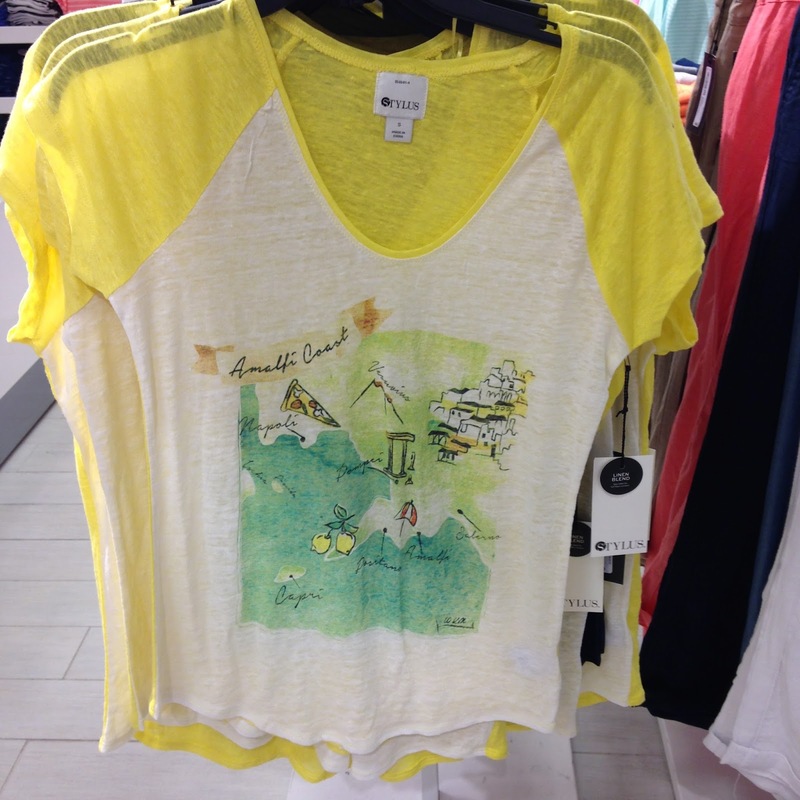 JCP 'Stylus' New Arrival In-Store Pics! 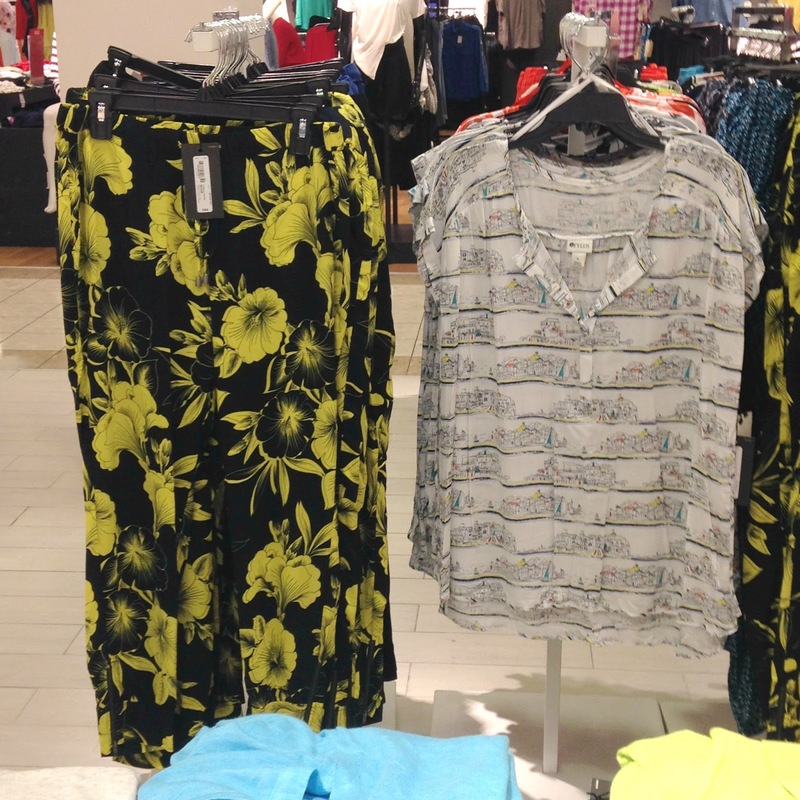 The latest summer collection from JcPenney's in house brand Stylus has some cute pieces, but overall, it needs some work in the styling department. Stylus is on trend with their lemon romper and tees, however I'm not sure they know what demographic they are going after since it has younger trendy styles mixed with let's say "frumpy" for lack of a better word. With that in mind and sales almost every week at 40% off plus extra discounts with their coupons, be selective in what you choose and try to see all of it in person first because sizing is all over the place. In case you missed my last JCP post, this brand is replacing Joe Fresh, although my store still has tons of JF and it's not even on clearance yet, the transition seems to be a lengthy one if this location is any indication. What do you think of the latest collection / brand? 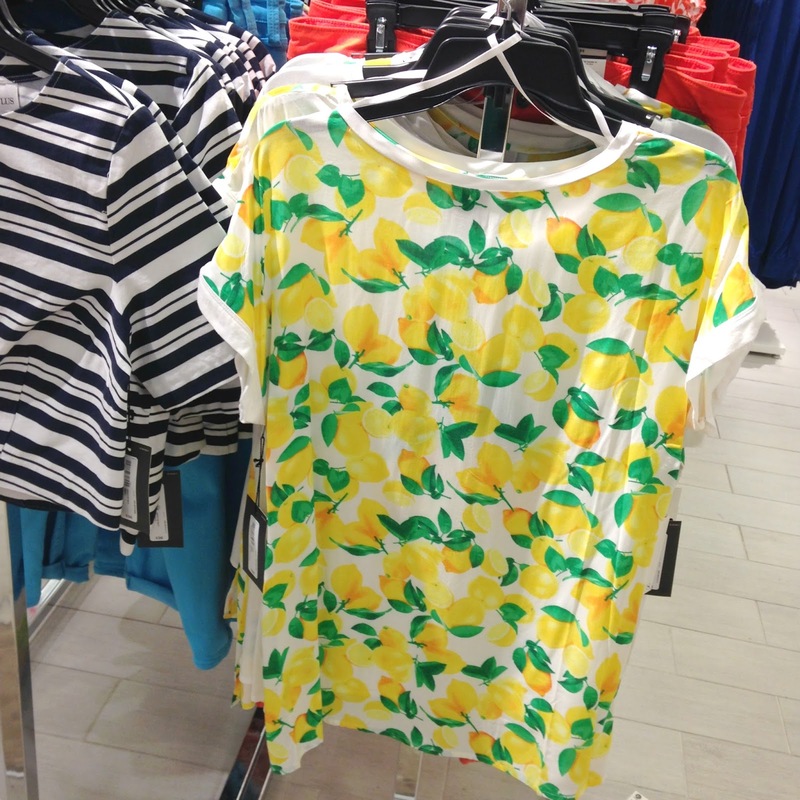 The back of the lemon tee is adorable too! Target 40+ In Store Photos: New Arrival Shoes + Bags! In the past week, Target has really stepped up their shoe and handbag selections and just in time for their BOGO Event. I have so many items on my wish list after this weekend, it going to be hard to narrow it down...decisions, decisions. 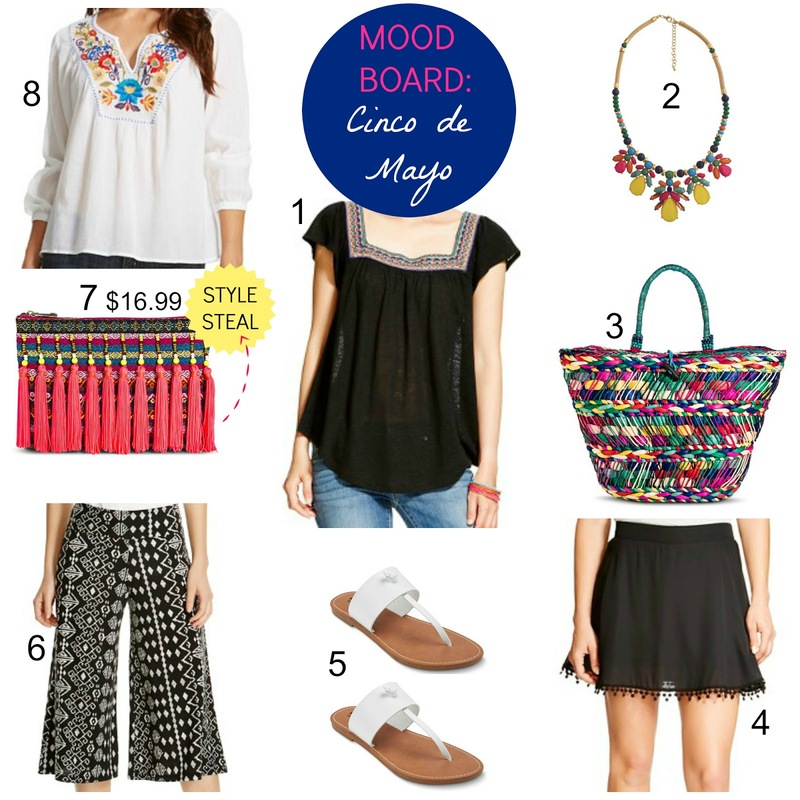 Mood Board: Cinco de Mayo + Target BOGO! Target had some amazing new arrivals this past weekend and every season, I make sure to grab at least one fresh peasant blouse each season. I am also loving the new bags inspired by exotic vacations I'm guessing...or a buyer that really likes Anthropolgie and decided to bring some affordable versions to the masses (yay). I'll be sharing in-store photos of Target's new arrivals in their shoe and handbag departments later today, you don't want to miss it! Happy Cinco de Mayo and cheers to a festive look! 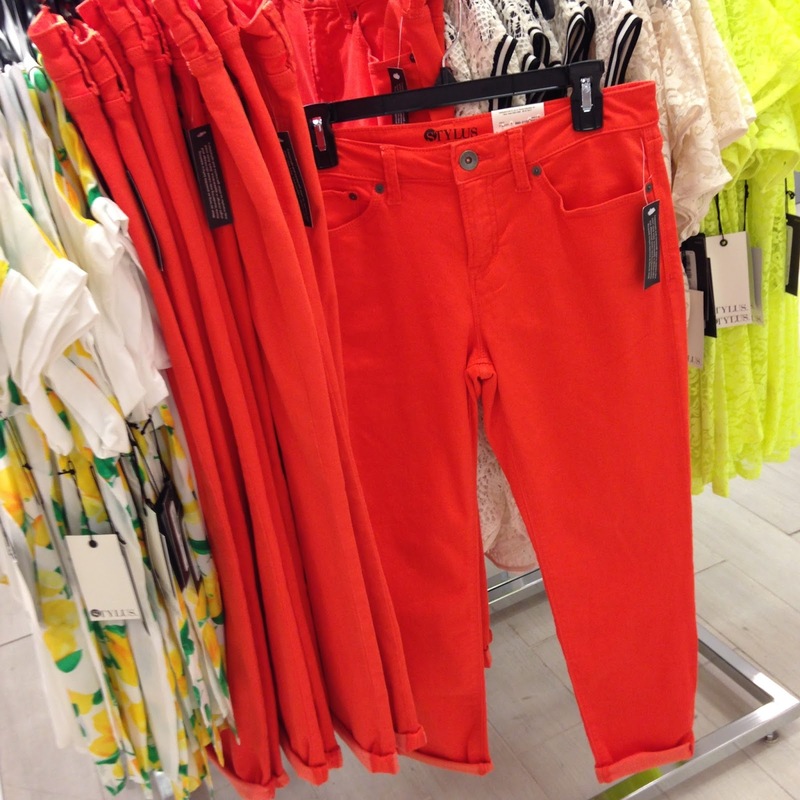 Forever 21 + J.Crew Factory: FREE Shipping on All Orders! 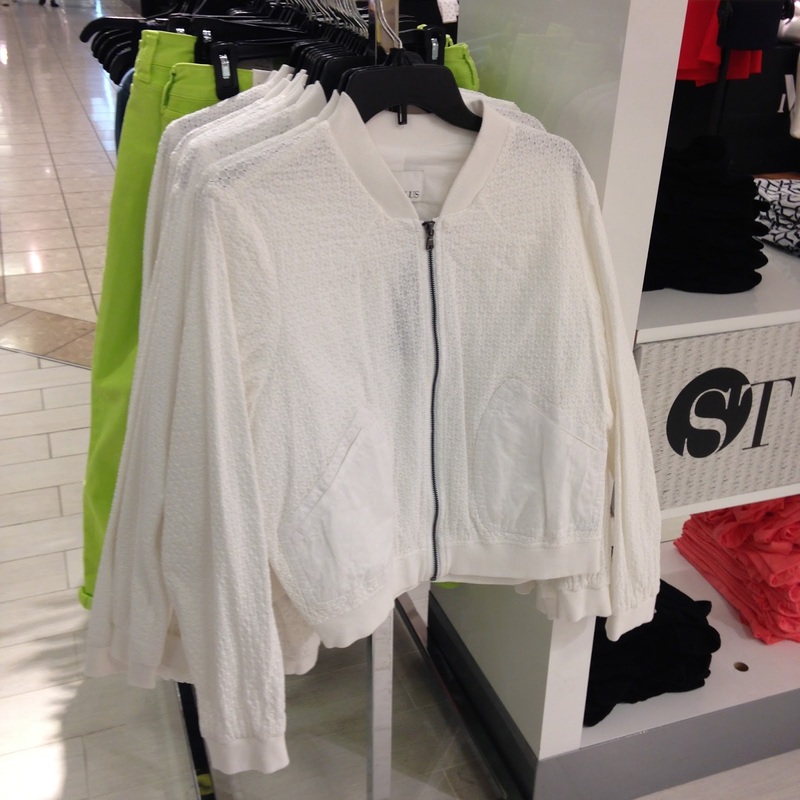 Happy Monday shoppers, kick those Monday blues with a little retail therapy. 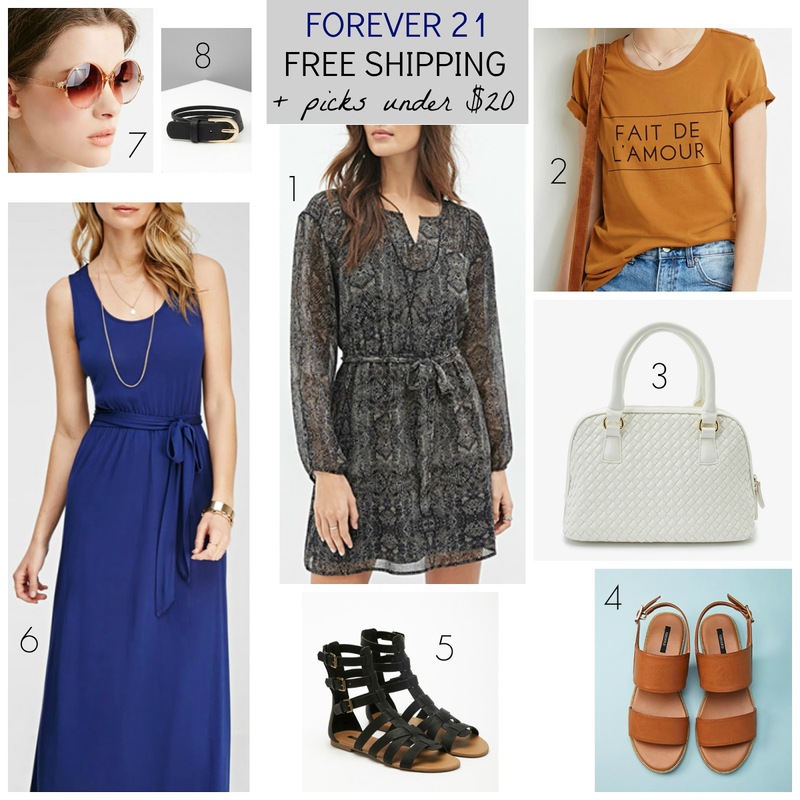 Get free shipping on all orders at both Forever 21 J.Crew Factory, always my favorite time to grab the one item on my list. Happy first day of May fashionistas, I cannot believe that summer is around the corner! Here are some of my favorites I chose this week that are a mix of sale finds and a few new arrivals.